This entry was posted in Curvier, How Does It Fit?, Torrid, Uncategorized and tagged Chubby Cartwheel, Curvy Fashion, Custom Made Plus Size, fatshion, plus size 26, plus size 28, plus size 5X, plus size fashion, Plus Size Review, ReDress, We Love Color by affatshionista. Bookmark the permalink. Thank you for this informative and useful post. I have such trouble finding tights to fit me. It’s a little hard to get good tights of a large size in the UK, but leggings are slightly easier to come by. It looks like the UK has more and more plus sizes. Thanks for reading my blog and I will keep you up to date on my finds. They tend to run on the smaller side, I’d size up a size or two, and they seem to have gotten rid of the 8x, which is what fits my 5’7/430lb body. But that means anyone smaller than me (which is most people!) can definitely fit into them. They’re super sturdy and come in a ton of colors! Thanks so much. That kind of information is a huge help. I think you are my lower-half twin – my measurements are really, really close to yours (my calves are just a little smaller). I hate the LB tights now that they all have a control top. I usually buy my basic color (black, gray, brown) tights from Catherine’s – their sizes are kind of wacky, but the 3x/4x fits (not as opaque as I would like though); the 5x/6x is fine except a little short (has plenty of stretch around, though), and the 7x is nice and long and non-see-through. I only like the non-control-top ones. 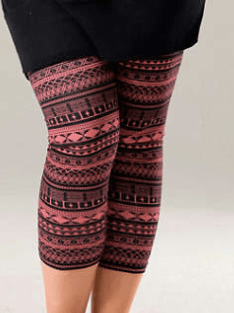 I’ve had good luck with leggings from Danskin – their plus selection is crap, but what they do have is generously sized (I have both 3x and 4x and both fit) and stands up to years of abuse (as in, wash & dry in commercial machines, not really paying attention to whether they get dried on low or medium, etc.) We Love Colors, I have both an E and an EE, and I think the EE wins, just because (again) of opacity. However, the E’s fit perfectly fine. Also, LB’s Jeggings didn’t work for me at all….they’re so baggy at the bottom. They would probably be great for someone who had wider lower legs. Old Navy’s dark wash skinny jeans (not the Rockstar ones) are pretty decently actually skinny. They stretch out during the day, so size down. Thanks so much for your comments. I really appreciate them. I have had my Danskin tights so long, some for over 10 years, that I did not even think to include them. Thanks for reading and posting. President Clinton uses. Do not use Viagra if you take any form of nitroglycerin, isosorbide mononitrate or isosorbide dinitrate. It is about getting across the message you wish to convey. Torrid has changed their sizing! Things are fitting bigger now, and they go up to a size Torrid 6 which is a 30/32! 😀 I’m between 2/3 in their sizing. I have always been a jeans kind of girl..and have started wearing leggings and all I’ve worn are black microfiber (winter) ones….so this was super helpful! I’m so glad I found this! I am glad you found this too. Thanks so much for commenting. Thanks for the info! I struggle to find tights that will fit my ample belly and little bird legs haha. 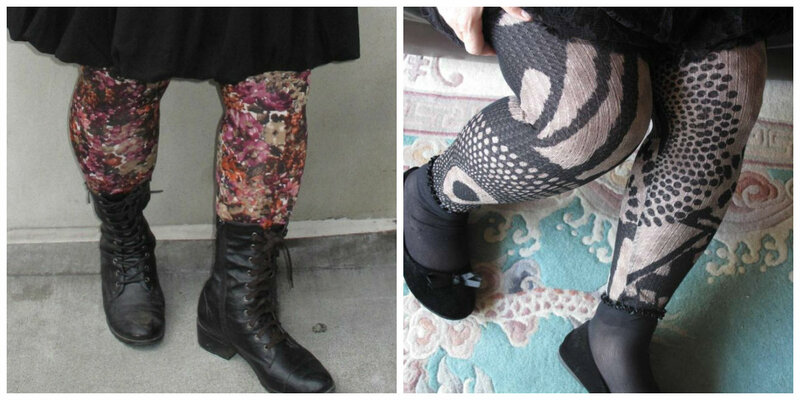 I’ve found that Woman Within’s tights run very similarly to We Love Colors, and both work well for me. The one thing I am still searching for though is a pair of footed tights that don’t have a different color/material/opaqueness on the upper thigh and gusset. I like to sport a mini dress, but I think the outfit can quickly turn tacky when tights have seems and change fabric on the upper thigh like with the We Love Colors pairs.